An Iranian knowledge-based company has found its way to the Chinese market by producing nanocomposites. Nanocomposite layers have specific features; among others, they are resistant to friction and corrosion, and their mechanical properties have been improved. Nano-composites are placed on different parts with the help of special instruments and through a special process. These coating layers are mainly used in producing metal parts required for automobile, oil and gas, petrochemical, aerospace, nuclear, textile, marine and steel industries. 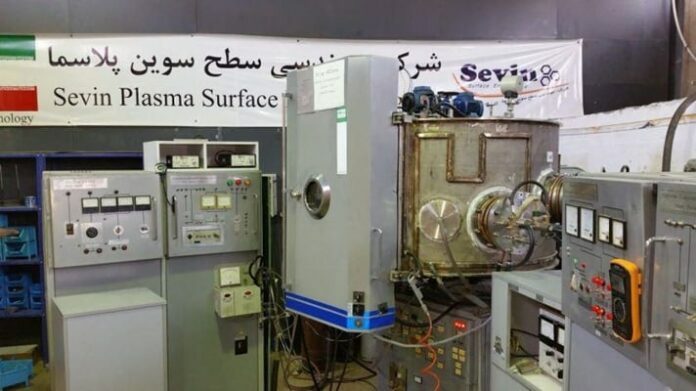 Having worked as a knowledge-based firm for seven years, the Sevin Plasma surface engineering company was introduced to the world as an international company manufacturing state-of-the-art equipment to produce thin layers used as super-hard coating. The firm operates using nano-layer technology and holds a nanoscale certificate from the Nanotechnology Development Commission of the Presidential Office. Offering surface coating services, the company has developed the physical vapor deposition (PVD) technology and secured a good share of the market in automobile, oil and gas, and nuclear industries. The company’s activities have improved the properties and performance of layers in different conditions. The improvement of the properties of layers will increase their lifetime and resistance to corrosion, and decrease the friction coefficient and the cost of parts. In addition to producing heavy-duty layers with high resistance on different parts, the company has also produced a layer marking apparatus. It has several features, namely a higher operational capacity and lower price compared to similar apparatuses made by foreign countries. So, the device can increase the quality of the product while being economical, which contributes to economic growth. The company has also managed to design and develop the first ultramodern coating reactor which measures up to international standards and is planned to be exported to China. Now, the company is concluding exports agreements in that regard. The company is one of the major firms attending the 2018 International Nano Exhibition which is underway in Tehran from October 13-16. The event brings together many companies from Iran and other countries, which are displaying their latest achievements in the domain of nanotechnology.